Glengoyne distillery has released batch six of its Teapot Dram, created in tribute to the dramming practices of its workers in the 1970s. 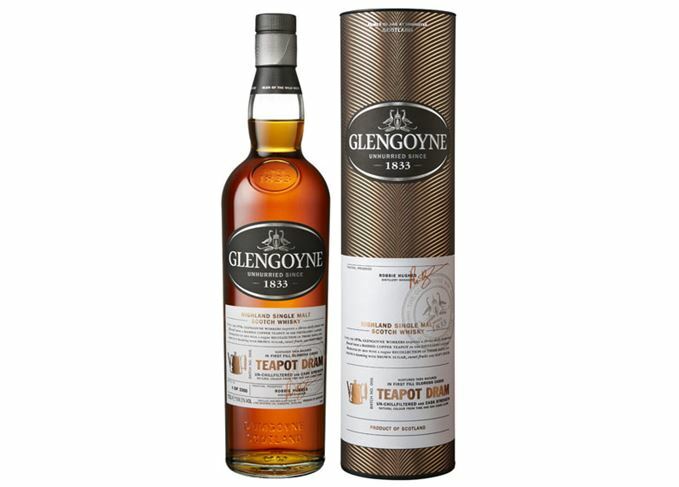 Glengoyne Teapot Dram Batch 6 has been matured in first-fill oloroso Sherry casks and bottled without chill filtration at a cask strength of 59.3% abv. The sixth edition in the series, just 2,772 bottles will be available exclusively from the Glengoyne distillery shop, and online at glengoyne.com, for £90. The whisky is described as having aromas of ‘fresh pineapple and digestive biscuits’, with notes of ‘sweet treacle, cinnamon, marzipan and cloves’ on the palate. Katy Macanna, brand manager for Glengoyne, said: ‘The Teapot Dram is a firm favourite amongst Glengoyne fans, and we’re delighted to share the latest release in the series. The Teapot Dram series is inspired by the tradition of doling out three fingers of whisky matured in oloroso Sherry casks to distillery workers three times a day. Workers with weaker dispositions would pour the remnants of their drams into a copper teapot that stood on the canteen windowsill, which their older colleagues would help themselves to. The practice, known as dramming, was discontinued in the 1970s.